Most parents want what is best for their children so, when it comes to a college education, an Ivy League school usually ranks at the top of the list. That is, of course, until you check out the website and find out more about their tuition, room and board, and other expenses. Visions of financial hardships, or a lifetime of student loan debt, fill your head and the idea is quickly shelved in favor of a lower-cost university. But perhaps you shouldn’t be too hasty in making a judgment about how expensive that school is. 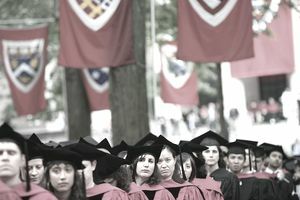 A September article in “Business Insider” reports that an Ivy League education can be surprisingly affordable. Most newcomers to the world of college costs are misled by the college’s advertised “sticker price”—the full-blown costs they see on the website. But, just like a car’s sticker price is never what you really pay for it, this is not the amount most students pay to attend that institution. What you need to find out is the net price to attend that school—what most families pay after grants and financial aid have been taken into consideration. You might be surprised to learn that Ivy League schools often have large endowments from their alumni which enable them to offer particularly generous need-based financial aid packages. In fact, the percentage of students receiving financial aid at these schools runs as high as 60%. These financial aid packages are often in the range of $35,000 to $40,000. An estimated annual cost of $20,000 looks a lot more attainable than an expenditure of $60,000. Compare that to The College Board’s Annual Survey of Colleges for Trends in Student Aid 2013, which revealed that the published tuition and fees for private institutions around the U.S. averaged about $30,000 for 2013-2014. They estimate that the typical student received $17,630 in grant aid and tax benefits, for a net cost of about $12,460 - a difference of about $7,500. To use the net price calculator you will need to provide information on family income and assets so the college can estimate your family's expected financial contribution (EFC). Based on that information and current attendance costs, the calculator will provide an estimate of aid you might expect to receive. This is only an estimate and not a guarantee. To finalize the process, you will still need to apply to the specific college, complete the Free Application for Federal Student Aid (FAFSA), and provided all requested financial aid documents. It also does not take into consideration any savings you might have or outside college scholarships for which your child might qualify. Calculations might be a little less accurate, depending on the complexity of your family’s specific financial situation. A professional college financial aid advisor can help you better estimate costs for your family.